Knowledge Hunter: The role of Local 2.0 in Enterprise 2.0? Last Friday I attended The Next Web Salon for the second time in a row. Got to meet interesting people and got triggered by the 10 minute presentation by Michael Bauer. Michael Bauer is a local internet expert and CEO of Koano. Michael's presentation, though very short but nevertheless good, was about the future of local. Local as in: Search, Mapping, Ontology, International, Social, Network. Imagine a web app that allows me as a citizen of Amsterdam to find the kind of places I know and like in Amsterdam when I travel abroad. E.g. 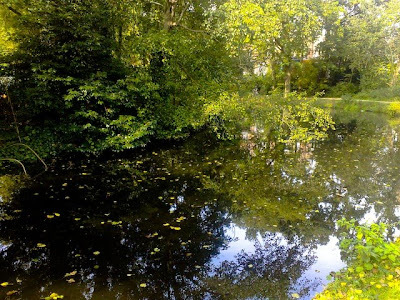 Vondelpark in Amsterdam, is similar to, Central Park in New York. A recommendation system based on things you know well near your 'home' to find things near your 'locus' (the place you are).